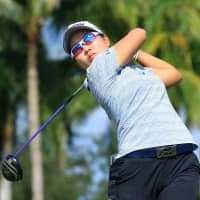 NAPLES, FLORIDA - Nasa Hataoka carded a 4-under-par 68 in Sunday’s final round to finish ninth at the season-ending CME Group Tour Championship, eight shots back from winner Lexi Thompson of the United States. Thompson shot a final-round 70 to finish with an 18-under 270 total, giving her a four-stroke victory over countrywoman Nelly Korda. Hataoka, 19, who started the day 10 strokes off the pace, carded three birdies and a pair of bogeys on the front nine at Tiburon Golf Club. She picked up momentum after the turn with birdies on 10, 16 and 18 to move three spots up the leaderboard. “The front nine was frustrating, but I was able to settle down and get three birdies on the back nine. Birdieing the final hole made for a nice finish,” Hataoka said. Among other Japanese golfers, Sakura Yokomine tied for 58th, while Ayako Uehara finished 61st, after final rounds of 76 and 74, respectively. 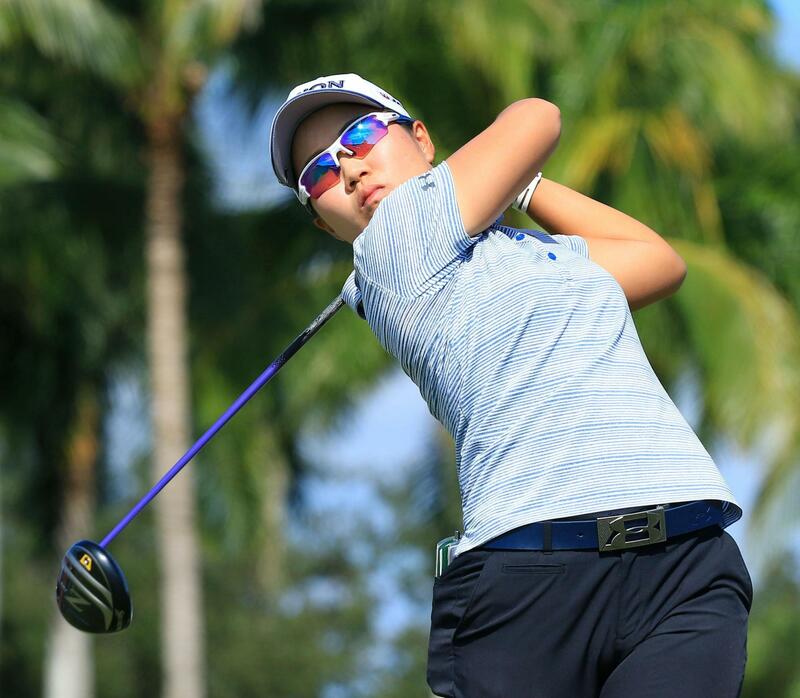 Hataoka finished her breakthrough second LPGA season ranked sixth in the world, while her $1,454,261 in prize money from 24 tournaments put her fifth on the money list. She won her maiden title in June at the Walmart NW Arkansas Championship, carding a 21-under total to beat the tournament scoring record by three strokes. The Ibaraki native captured a second U.S. LPGA title on home soil when she won the TOTO Japan Classic earlier this month. “I won my first tournament this year and achieved my goal. I think I played positive golf throughout the year,” Hataoka said. 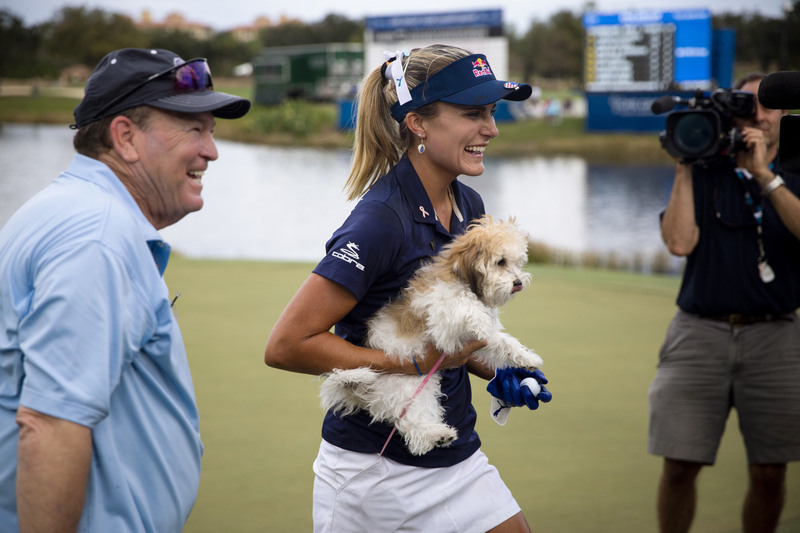 For Thompson, the victory makes this the sixth consecutive year she has won at least once, extending the longest such active streak on the LPGA Tour. Ariya Jutanugarn took the other two big prizes up for grabs this week, clinching the yearlong Race to the CME Globe prize — and the $1 million bonus that comes with that — as well as the Vare Trophy for winning the season’s scoring title. The world No. 1 had already wrapped up player of the year honors, and finished 2018 with a 69.415 scoring average to edge Minjee Lee (69.747) for the top spot. It was the 10th career win for Thompson, who grabbed the lead on Friday and kept it the rest of the way. She hadn’t finished better than a tie for ninth in any of her last eight starts — but Tiburon Golf Club has been a haven for the native South Floridian, who is 31-under in her last seven rounds at the tour championship there. The win also helped ease the pain of last year’s tour championship for Thompson. She had a 2-foot par putt on the 72nd hole — one that could have meant a tournament win, the world No. 1 ranking and player of the year honors — but pushed it right and wound up losing to Jutanugarn by a shot.